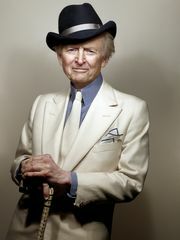 Tom Wolfe, the master prose stylist, journalist and novelist whose use of fiction techniques like dialogue, scene-setting and point-of-view energized non-fiction in the 1960s and ’70s, died Monday in New York. He was 87. Wolfe, perhaps the preeminent practitioner of what would come to be called the New Journalism, authored the non-fiction The Right Stuff and the novel Bonfire of the Vanities, both of which became major Hollywood films. His death was confirmed by his agent Lynn Nesbit. She told The New York Times that Wolfe had been hospitalized with an infection. Unfailingly attired in a dandy’s uniform of three-piece white suits and high-collared shirts, Wolfe belonged to a generation of writers – Truman Capote, Norman Mailer, Gore Vidal – whose celebrity was as bright as the stars they covered. In Wolfe’s case, those stars were sometimes literal: His 1979 nonfiction account of America’s pioneering astronauts and the Mercury space program quickly took a place alongside Capote’s In Cold Blood and Mailer’s The Executioner’s Song as prime, acclaimed examples of the “nonfiction novel,” with impeccable research and scrupulous attention to detail fueling a story that had all the narrative drive and emotional power of an entirely imagined work. Hollywood couldn’t resist, and the book became a film in 1983, with Philip Kaufman directing a cast that included Ed Harris, Scott Glenn, Sam Shepard, Fred Ward, Dennis Quaid and Barbara Hershey. The film won four Oscars: Best Sound Effects Editing, Best Film Editing, Best Original Score and Best Sound. Wolfe’s first major turn at fiction writing also found its way to Hollywood, though the 1990 adaptation of 1987’s The Bonfire of the Vanities was considerably less successful than The Right Stuff. Directed by Brian De Palma and starring a woefully miscast Tom Hanks, The Bonfire of the Vanities was such a flop that its failures made up an entire book: Julie Salamon’s 1991 The Devil’s Candy: The Bonfire of the Vanities Goes to Hollywood. The disappointment hardly dented Wolfe’s reputation, though, with the author’s groundbreaking books and articles already a staple of college reading lists and journalism anthologies. The titles alone are classics of their eras: The Electric Kool-Aid Acid Test, Radical Chic & Mau-Mauing the Flak Catchers, The Kandy-Kolored Tangerine-Flake Streamline Baby. 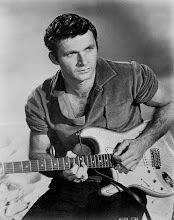 Such was Wolfe’s skill with a turn of phrase that some of his wordplay took cultural root and became part of our standard vocabulary: Radical chic, The Me Decade, the right stuff. His 1981 take-down of modern architecture, From Bauhaus to Our House, resurrected the German word and early 20th Century school of design in the popular consciousness, even if the architectural world was neither pleased nor won over by Wolfe’s arguments. Wolfe’s other works include The Pump House Gang, Mauve Gloves & Madmen, Clutter & Vine, A Man in Full, I Am Charlotte Simmons and Back to Blood. Wolfe is survived by his wife Sheila, daughter Alexandra and son Tommy. Born: 3/2/1931, Richmond, Virginia, U.S.A.
Died: 5/14/2017, Manhattan, New York, U.S.A.